Countless homeowners, restaurant owners and anyone who depends on continuous hot water rely on Cork'd for the most reliable, complete water heater service across the country. Whether you have an emergency or are simply planning on upgrading to a tankless water heater, the experts at Cork'd can help you make the right decisions. Choose from state of the art gas and electric heaters from the top brands all in one place. We know what you are looking for: trained installation and repair experts, competitive pricing, and above all a reliable stream of hot water! We can help in minutes, simply find your area to the right or enter your project details and we can help you today. Endless hot water on demand. Energy savings and environmentally friendliness. Smaller footprint (1/4 the size of traditional water heaters) and high durability. For many these benefits make the decision to "go tankless" an easy one. No longer just an expensive novelty, property owners everywhere are choosing tankless water heaters when it is time to replace their old unit. Nearly every misconception of electric water heaters have been dispelled over the last 15 years, and with capacities up to 65 gallons and up they can serve nearly any size property. Yes they are more expensive upfront but higher efficiency means lower monthly electricity bills. Broken or frayed straps and insulation surrounding the heater. A musty smell in the general area of the water heater. This can be caused by an unseen water leak, often behind the heater that can quickly damage drywall, wood and present a health hazard. Visible rust and/or moist areas within five feet of your heater. This can indicate either a leak or excessive pressure is causing an overflow from your heater pan. A change in the hot water volume. For example if you suddenly find that your hot water is running out much quicker than in the past. This might just mean your equipment needs to be adjusted, but it can also signal an impending failure and should be checked out. Any noises coming from your heater including a clicking, shuddering or banging noise. 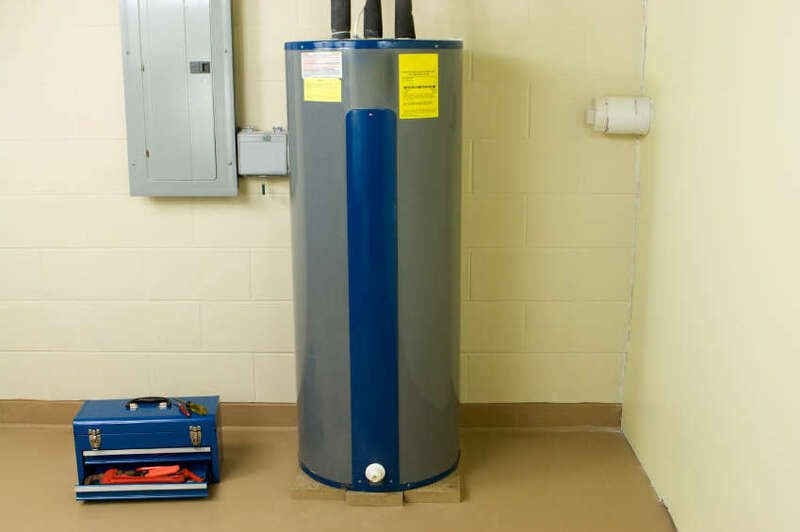 It is best to avoid an all out water heater failure which often damages valuables in your basement, garage or pantry, and that is why we recommend always having a professional take a look if you have any concerns. If you every find yourself concerned with safety or simply have interest in the types and functionality of hot water heaters you can spend some time at Energy.gov which includes an updated guide and good size estimator tools. Of course the professionals at Cork'd are also ready to answer any questions you have so pick up the phone today.